Why did you pick the FR-S? I've always been obsessed with the 1986 Corolla "AE86" and I've owned 6 of them, building them up as well. One day Toyota announced the upcoming FT-86 and that it was being designed in the spirit of the AE86. I instantly knew I needed the car in my life. After several years the car was released and I was one of the first in my town to own one. 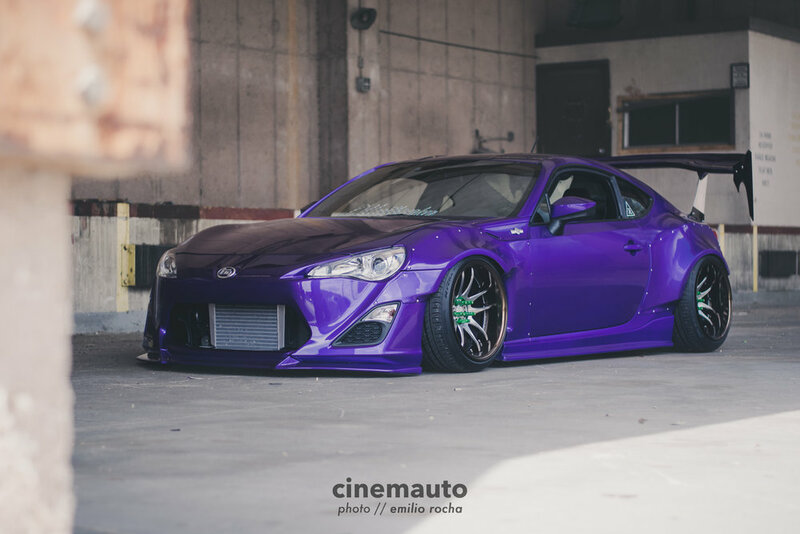 What is your favorite thing about your Scion? My favorite thing about my car is that I am the only owner in its history. I like knowing everything that has been done to the car and how it has been treated. Honestly there is nothing better than knowing the true history of a single vehicle. I also like playing with the air suspension. -I'm sure there's more but I can't think of it at this time..
Any future plans for the it? Future plans include installing an all motor LS2 6.0L, some sort of functional hood, then fix the small stuff and save it for my kid.